The Board of Directors and Advisors of the International Federation for Choral Music (IFCM) met in Barcelona, Spain 8-10 July 2010. The meetings focused on challenges that IFCM is facing due to recent economic struggles. The outcome was very positive and marked a significant shift toward a positive resolution and the return to our mission: the exchange of the world’s cultures through choral music! I want to bring you (our membership) a summarized update on noteworthy issues that transpired during this meeting so you know that IFCM is alive and well, and has a very clear plan for the immediate and long range future. The intent was, after 28 years of existence, to refine the structure to create a more robust framework that will function smoothly for the next quarter century. Each task force has a specific charge that will ensure the strength and movement of their prospective area. The result thus far has been very encouraging—each board member now has an immediate investment in the organization and is working hard to ensure IFCM’s continued existence. Vacancies in the Executive Committee (ExCom). We decided not to replace any positions until the next General Assembly in Puerto Madryn, August 2011, when the membership will have the opportunity to elect new officers. Secretary-General. It was felt that with an active Board, we can continue IFCM’s restructuring and growth without filling the position of the Secretary General. This will leave more time for discussions on whether a Secretary-General is necessary or if we should change the position to an Executive Director. Also this will allow time to raise money for the position. 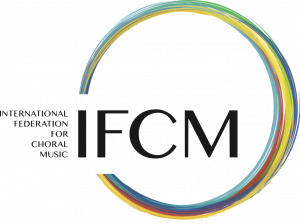 After the resignation of the Secretary-General, and the collapse of the International Center for Choral Music (along with its funding), IFCM has been without a staff for the past year. I am happy to report to you that Nadine Robin Ryan has been rehired as of September 2010. Nadine has immigrated to the U.S. where she lives with her husband Matt in Texas. She will continue to handle all matters with membership, the layout of the International Choral Bulletin, and assisting the ExCom and Board with daily responsibilities. The General Assembly of IFCM will continue to control the overall direction of IFCM and will have a chance to do so again in Puerto Madryn, Argentina next August 2011. Please be aware that this positive functioning of this body is critical to IFCM. Get involved! The website continues to function, transferring information to choral world, helping members, and signing up new members. The Board felt that rebuilding the website should be placed toward the top of the list of things to be done. The Board recognized the new Managing Editor of the International Choral Bulletin, Andrea Angelini from Rimini, Italy. He has built a new team of people working on this publication to make sure that we bring you the latest choral information from around the world. A very successful summer session of the WYC was taking place at the same time as this meeting, in Tenerife (Canary Islands) with 80 singers from around the world, chosen by the international WYC jury (including Board members Theodora Pavlovitch and Aarne Saluveer). The conductors, Ragnar Rasmussen (Norway) and Josep Vila I Casanas (Spain) worked on 20th Century choral repertoire, and choral music of the Mediterranean. They toured the Canary Islands, the north of Spain, with final performances in Barcelona. It was prepared by an organization of the Canary Islands, under the umbrella of the Moviment Coral Catala. The three patron organizations, Jeunesses Musicales International (JMI), Europa Cantat (EC), and IFCM all played an important role in the project, to ensure its continued success. Many thanks go out to our colleagues in the Canary Islands and Spain, with special thanks to Blasko Smilevski (JMI) and Sonja Greiner (EC) for their exceptional support. Mr. Vladamir Opacic was retained as manager of the choir and has done a superior job. 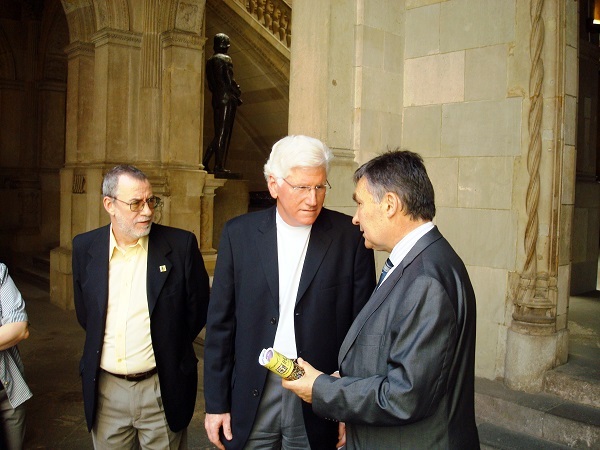 The 2011 session is expected to take place in Argentina, during the Symposium. Arrangements are being finalized at this time. There are several proposals for the years to come including Canada and USA, but nothing has been finalized. OC held it General Assembly in Paris last June where the decision was made to liquidate the organization. Since IFCM is an investor in the project, we will keep you apprised of the outcome. There is a potential Songbridge project in Italy for next summer as well as one in Los Angeles for the following summer. At the moment there has been no agreement for the Symposium to hold a Songbridge, due to the WYC project. We are in contact with the Pohjola family to ensure that the essence Erkki instilled in the project is protected. IFCM is working with Kari Ala-Pollanen planning future Songbridges. Board member Thierry Thiebaut coordinates this program for French-speaking countries in Africa. Presently the program is active in Congo, Togo, and Ivory Coast. There is a contact to begin in Benin and Burkina Faso. Board members Christian Grases, Catalina Prieto, and former Board member Jeroen Schrijner, are heading up this project. The WCD will take place every year on the second Sunday of December. The Board asked that information be collected after each WCD for broadcast to the media, as a clear demonstration of the importance and scope of this project. The festival took place in May with participants from Argentina to Canada. It was a small festival, with outstanding music. There were several organizational problems but, at the end, with the help of the Argentinean volunteers, it turned out to be a good festival. It is still not decided which country is going to host the next America Cantat. 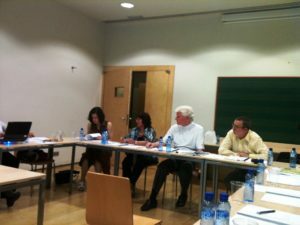 The 9th World Symposium on Choral Music will be held in Puerto Madryn, Argentina, from 3-10 August 2011 is progressing very well. You can find out more information at the website (http://www.wscm9.com/en/index.php/content). This will be a unique symposium—more exotic, more intriguing—than any in the past. I encourage you strongly to consider extending your stay (either before or after the symposium) to take advantage of the innumerable aspects of the Argentinean landscape and culture. Board member Saeko Hasegawa, and the IFCM ExCom will be present in November as members of the jury for the Busan Choral Festival. We will use this time to work with Board member Ambassador Dho Young-shim to further negations with our Korean colleagues, and set in motion a strategy for the 2014 Symposium. Cities who wish to bid for the 2017 Symposium (of which there are presently two) will be asked to do so sometime in late 2012. This will ensure that the 2011 elections are handled correctly and will address any other legal matters that may come up during IFCM’s reconstruction. This was an exceptionally positive confirmation that IFCM is needed in the world of choral music. Organizations, choirs, and conductors all around the world are teaching, researching, and performing extraordinary music by inspired composers. Even in this day of instant communication, it appears to be an undeniable reality that a world-wide organization, whose sole purpose is address the ongoing challenge of exchanging of the world’s cultures through choral music, must continue to exist to bring people together in song and peace. If you have not done so already, please consider renewing your membership, or if you are new to IFCM, please consider getting involved. For more information, click on http://www.IFCM.net or go directly to the membership form at http://www.ifcm.net/index.php?m=60. There is a whole world of choral opportunity out there waiting for you.